Wait a sec — Matty Weber (Meredith Eaton), the tough and tight-lipped director of the covert Phoenix Foundation, is suddenly teary-eyed? “You will definitely need tissues,” warns Eaton of this week’s MacGyver episode, which looks at some “private pain” Matty’s endured for years. The source of the angst: her husband, Ethan (Brendan Hines), an undercover agent introduced in the November 9 episode. When Ethan’s own secret mission crosses over with Matty and the Phoenix team, the pair’s heartbreaking love story comes to light. 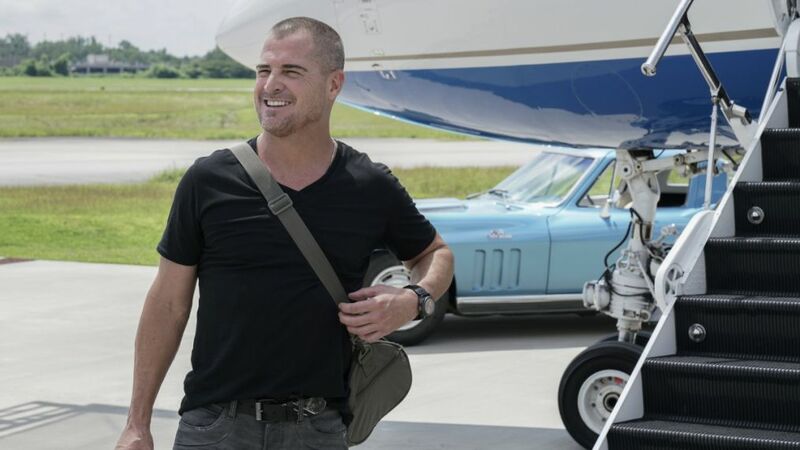 Why Did George Eads Suddenly Quit 'MacGyver'? He's starred in the CBS drama since its pilot in 2016. And love story it is. Flashbacks let viewers in on “why Matty fell for the charming Ethan instantly,” the actress says, but fans will “be left with their hearts in their hands” watching the twists and turns they must take.